Gain an in-depth understanding of business, management, and organisational issues while developing fluency in your chosen language. 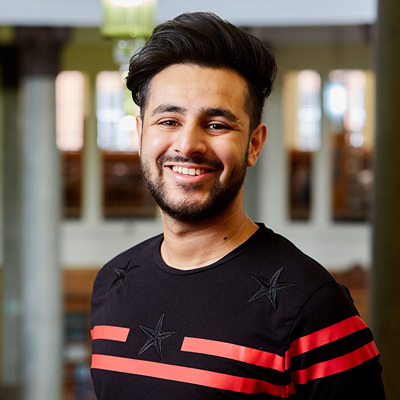 At Leeds, you can study business with one of the following languages: Arabic, Chinese, French, German, Italian, Japanese, Portuguese, Russian, Spanish, and Thai. Following intensive language training, your year abroad will further enhance your linguistic skills and deepen your understanding of the markets and business culture of your host country. You’ll combine technical expertise with an understanding of the local business environments, and develop your awareness of the challenges faced by organisations operating across the globe. In your final year project you’ll explore market and organisational issues with specific reference to your chosen language and country. By combining business with language, communication and professional skills, you’ll be prepared for an international career in global business. Our fully equipped Language Centre includes digital language labs, audio/video practice booths and Computer Assisted Language Learning (CALL). We also have our Electronic Resource Information Centre, which features specialised computing facilities for translation studies, and Interpreter Training Suites offering you the chance to explore a career in interpreting. Combining a language with another subject allows you to gain an in-depth knowledge of your chosen subject as well as developing fluency in a major world language. As well as demonstrating that you’re intellectually versatile, your degree will equip you with a wide range of skills across different disciplines that employers actively seek. You’ll have good research skills, and you’ll be able to analyse complex information from multiple sources before drawing your own conclusions. You’ll then be able to communicate and defend your views clearly, either verbally or in writing. In addition, you’ll have strong research and organisational skills and be confident working independently or in a team. You will also have a strong understanding of cultural diversity, allowing you to work effectively with people whose backgrounds differ from yours. All of these qualities are very attractive to employers, and graduates have pursued careers across the globe that reflect the diversity of their degrees. They’ve gone on to be successful in education, the media, law, publishing, the civil service, business and finance and the charity sector to name a few. Many others have also pursued postgraduate study, including further training in language-based careers such as translating and interpreting. To find out more about graduate destinations in your subjects, please see the relevant single honours pages for your language and combined subject. An integral part of your degree is the opportunity to spend a year abroad in a country where your chosen language is spoken. It’s the perfect opportunity to immerse yourself in another culture while sharpening and refining your language skills every day. For many of our students, it’s the highlight of their degree. If you are studying Arabic, Chinese, Japanese, Russian or Thai, you’ll spend your second year abroad studying an intensive language course. Otherwise, you’ll be spending your third year abroad and, depending on your hosting country, you may be able to complete a work placement, undertake a British Council school assistantship or study at one of our partner universities. Whatever your options, you’ll gain a new perspective on another cultures and societies across the world.